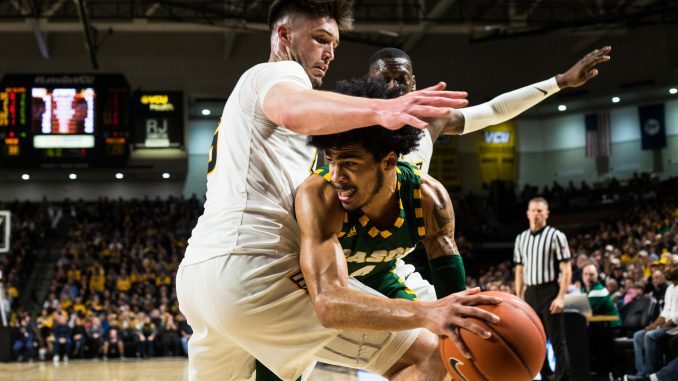 Men’s Basketball knocked George Mason off the top of the Atlantic 10 and snapped the Patriots’ five-game win streak Saturday night after winning 79-63. Redshirt-junior Issac Vann led the team with 21 points and three rebounds. VCU went on a 9-0 run late in the second half to break the 52-52 tie. Redshirt-senior Michael Gilmore knocked down back-to-back threes and junior Mike’l Simms added the third 3-pointer to cap off the run. The run put the Rams up by nine and George Mason could not claw back into the game. Jarred Reuter led the Patriots with 15 points. Gilmore finished with 11 points, shooting 3-for-4 from beyond the arc. 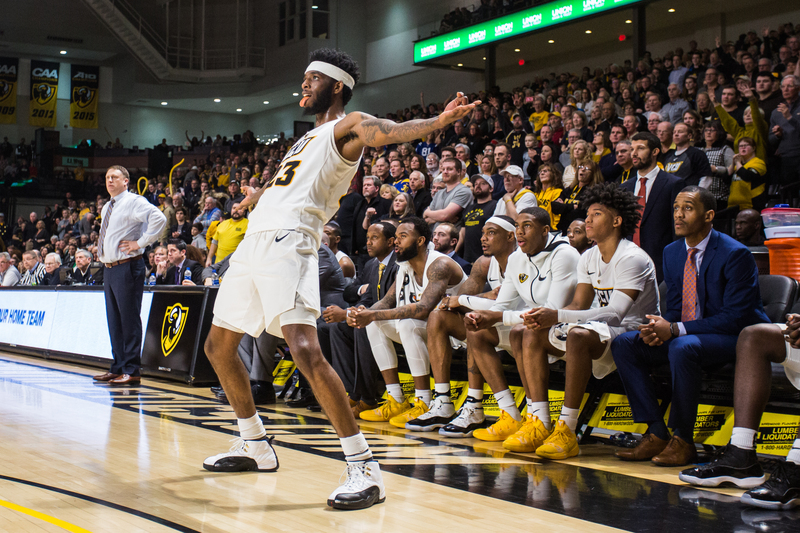 The VCU bench scored 26 points in the win over the Patriots. Freshman guard PJ Byrd played 14 minutes off the bench as he replaced Evans, who was dealing with cramps throughout the game. He added two points and one assist. “We put a lot of pressure on PJ and he came in, stepped up and ran the team well,” Gilmore said. The Rams’ HAVOC defense forced a Patriots shot clock violation on George Mason’s first possession. 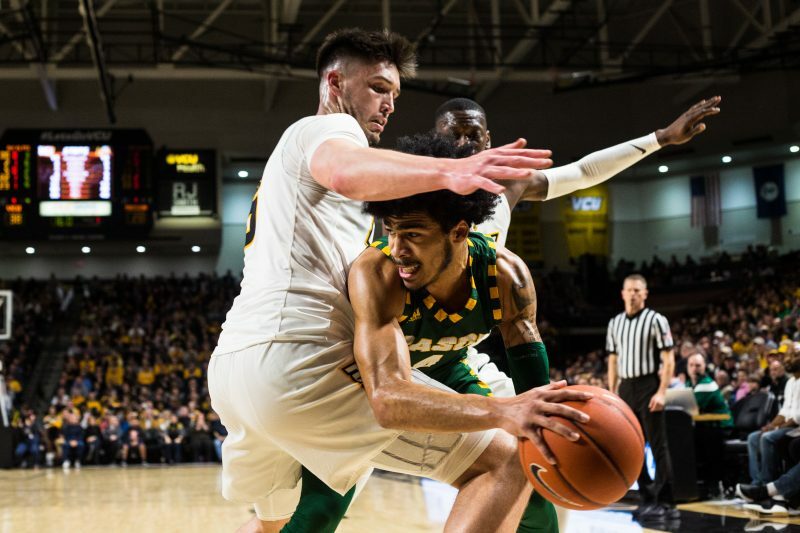 VCU, at times, flustered the George Mason offense, forcing nine turnovers in the first half. Late in the first half, Vann forced a George Mason turnover, passing the ball to sophomore forward Sean Mobley, who laid it in. This forced the Patriots to take a timeout. 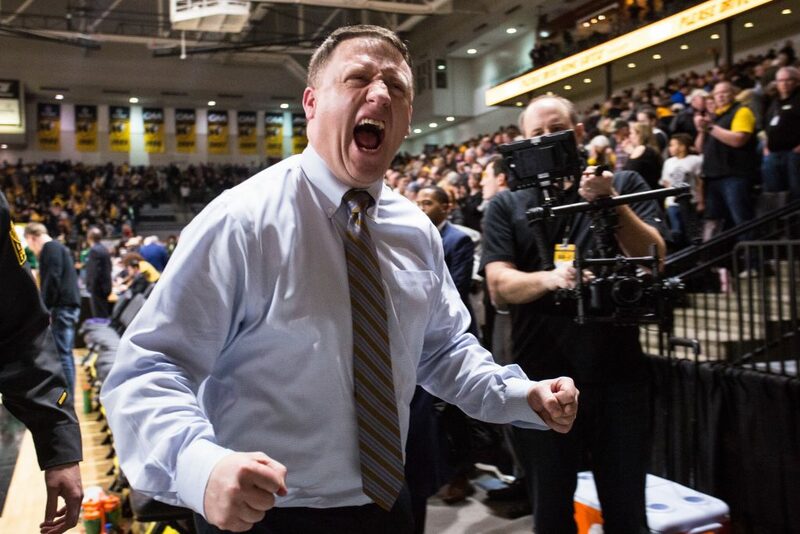 VCU went on a 6-0 run in just over a minute, putting the Rams up by 10 points with about three minutes to play. HAVOC returned late in the first half, as the Rams held the Patriots without a field goal over a five-and-a-half-minute span. George Mason only made one 3-pointer in the first half, as the Patriots were 1-for-8 from beyond the arc. The Rams were not much better, at 4-for-14 from three in the first half. The Patriots went on a 12-0 run over two and a half minutes early in the second half to cut the Rams’ lead to four. Junior forward De’Riante Jenkins hit a 3-pointer to stop the bleeding and put VCU up five. VCU held the Patriots star Just Kier to five points as he shot 1-for-10 from the field. George Mason finished 2-for-19 from beyond the arc as a team.